The cellist Antonio Martin Acevedo was born in Cadiz, Spain in 1985. He began his studies at a very early age with Fanica Sandu, later studying with professors belonging to the great Russian, English, German and French schools of cello: Natalia Shakovskaya, Frans Helmerson and Philippe Muller (themselves disciples of Mstislav Rostropovich, William Pleeth and André Navarra). He has also been influenced by other great artists like Jordi Savall, Cristopher Coin, Davis Geringas, Natalia Gutman, Ivan Monighetti, Lorin Maazel, Ralf Gothoni, Ferenc Rados and Menahem Pressler. He has won numerous prizes in both national and international competitions, including the 11th Trieste International Trio Competition in Italy and the “Villa de Llanes” International Cello Competition in Asturias, Spain. He has appeared in many important festivals throughout the world: Santander International Festival, Donostiarra Music Festival, Dinu Ciani Music Festival in Italy, Cantabile Festival in Lisbon, Lake Geneva Festival, Perelada Festival, Villabertran Schubertiada, El Jem Festival in Tunisia and the Berlin Contemporary Music Festival. 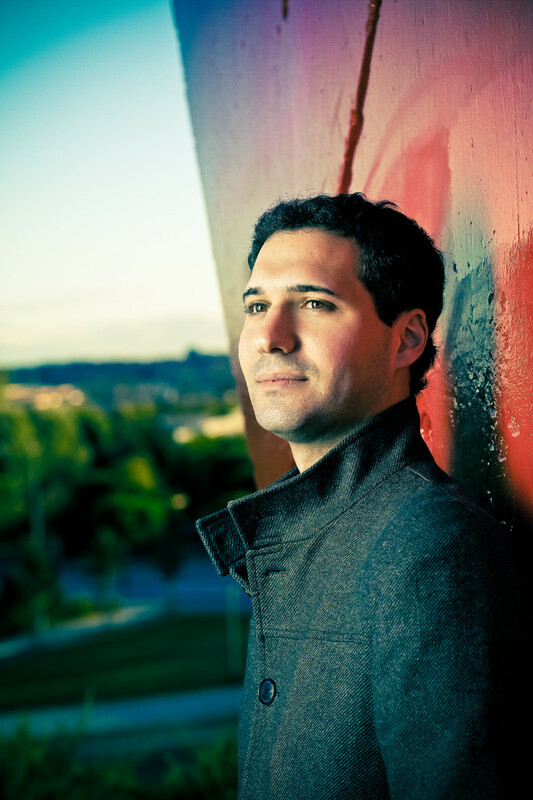 Since his solo debut with the Madrid Conservatory Symphony Orchestra Antonio Martin Acevedo has developed an impressive career, performing as soloist and collaborating with famous artists like Eldar Nebolsin, Claudio Martinez Mehner, Albrecht Mayer, Nobuko Imai, Gerard Causse, Radovan Vlatkovich, Natalia Gutman, Rainer Schmidt, Rainer Zepperlitz, Wolfgang Christ, Diemut Poppen, Ralf Gothoni and with many orchestras including Euskadi Symphony, Plural Ensemble, Orchestra of the Reina Sofia School and the English Chamber Orchestra conducted by Jesus Lopez Cobos, Juanjo Mena, Maximiano Valdes, Jose Luis Garcia Asensio and James Judd. He has also made recordings for Spanish Television, Spanish National Radio, Bavarian Radio, Catalonian Radio and Polish Radio. Antonio has performed in many prestigious halls like the Madrid Royal Theatre, Madrid National Auditorium, Spanish Royal Palace, Tenerife Auditorium, Cantabrian Festival Palace, Palau de la Musica Valencia, Royal Academy of Fine Arts, Hindemith Foundation (Switzerland), Salle Pleyel Paris, Juan March Foundation, El Prado Museum, Salle de Conservatoire de Musique de Geneve and the Academy Santa Cecilia in Rome. For many years a student of the famous Reina Sofia School of Music in Madrid, he received from Queen Sofia of Spain the prize for the most outstanding cello student four times, as well as the chamber music prize for his trio with his brother the violinist Pablo Martin and the pianist Denis Kozhukin. In 2007 he was invited by the Spanish Government to perform “El Cant dells Ocells” in the homage to the victims of the terrorist attack at the Atocha Train Station in Madrid, a performance broadcast around the world. Recently he performed the Double Concerto for violin and cello of J.Brahms with his brother Pablo Martin Acevedo (violin) in the Palace of Arts in Budapest. Antonio Martin Acevedo has various live and studio recordings on the Sony label. In 2010 he was invited to be guest professor with Diemut Poppen, Ralf Gothoni and Tom Krause at the Goethe Institute of Lisbon. He has given Masterclasses at Concervatorio Superior de Málaga in 2013. Currently he is assistant solo cello with the Madrid Symphony Orchestra (Royal Opera Theatre) while maintaining an active performing career.